From The South Beach Diet Quick and Easy cookbook: "Tea sandwiches may sound like dainty little bites, but this version, which replaces butter with reduced-fat cream cheese and white bread with whole grain, makes a healthy and very tasty snack or lunch." 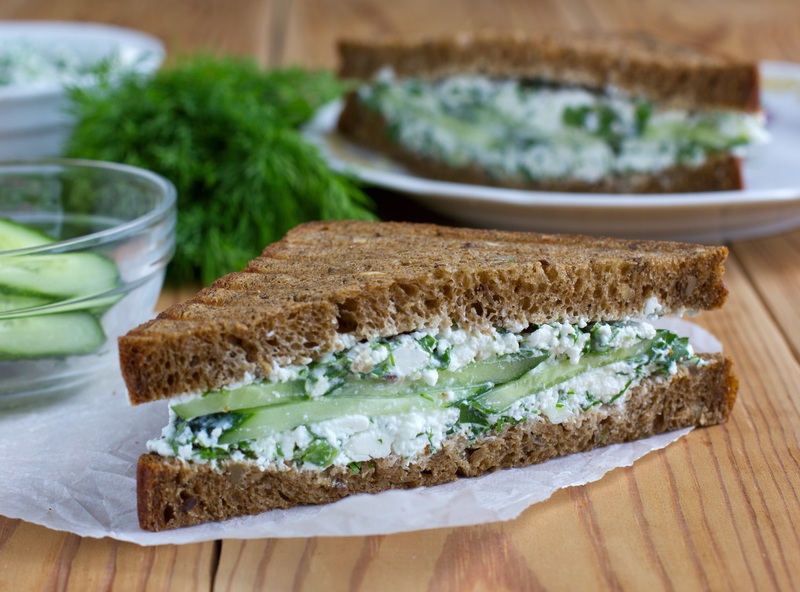 Spread each slice of bread with cream cheese; make sandwiches with watercress and cucumber. Remove crusts, if desired, and cut each sandwich into 3 rectangle slices. Makes 4 lunch servings or 6 snack servings Nutrition per serving: 170 calories, 6 g.